A beautiful smile with straight teeth is a dream a lot of people have. Fortunately, traditional “train track” braces are not your only option. Traditional braces can be bulky and often used for teenagers, but they don’t tend to be as appealing to adults. Luckily there is another way you can achieve straight teeth without all that metal, and the solution is clear braces in Dublin, or indeed, wherever in the world you are!. Clear braces provide adults and teenagers alike with an easier and faster way to straighten teeth, and no one will even know you have braces! Similar to traditional braces, when a small amount of pressure is applied to your teeth they will move naturally in the direction that the pressure is being applied. 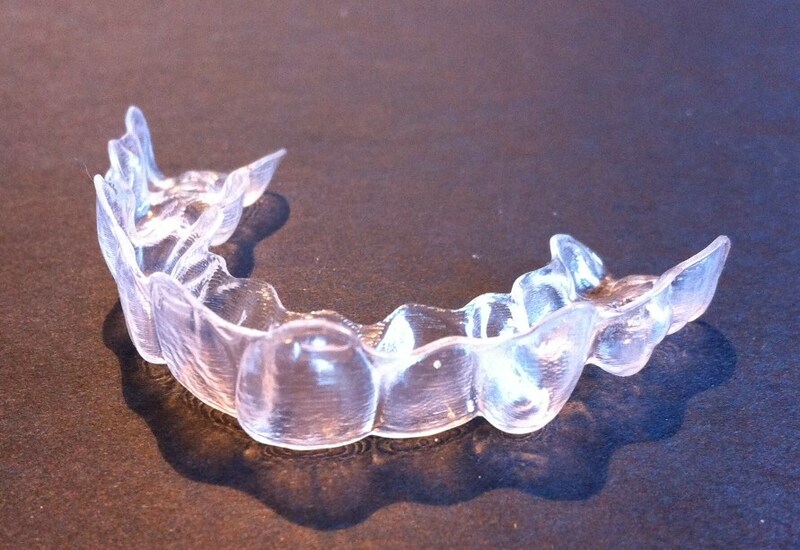 Clear braces are made out of a strong clear plastic material and look like a retainer. They slot on to your teeth and are almost invisible. When you have clear braces you will have a set of clear aligners throughout the course of your treatment. When the teeth move under the pressure it will eventually reach a certain point and the pressure will reduce, then it is time to replace the aligner. This will then carry on pushing the teeth into the correct position then you’ll start again with a new set of aligners. At the start of your treatment, you will be provided with two or three aligners and you will have to pop back in to see your dentist for a check-up after these are complete. Each aligner will last around 2 weeks. Treatment in total depends on your teeth but you will usually start to see an improvement in the first few months. An obvious advantage to clear braces is that they’re a lot more discreet than traditional braces which makes them appealing and well suited to adults who may be uncomfortable with people being able to see their aligners. Patients can continue to maintain a professional and neat look for work. Because they are less noticeable clear braces users are able to smile with confidence even when they have aligners in. As you are able to take them out to eat and drink you don’t need to limit your food choices like you would with traditional braces. Because of this, there tend to be fewer breakages which in turn means a quicker treatment time and no waiting for your braces to be fixed. They can also be quicker to change your smile than traditional braces. As you are changing your aligner more frequently, rather than being tightened every six to 8 weeks when you have train track braces. You are also able to see and show off your results sooner. The clear aligners will allow you to show off your increasingly straight smile throughout the process. They are better if you play a contact sport. It is always advisory to wear a gum shield whilst playing any contact sport but when you have fixed braces this can increase the risk of injury. Always ask your dentist about whether you should wear your aligner whilst playing a sport. The cost varies but most places will offer a finance plan that will make it easier and more manageable for you to pay. Are clear braces the right choice for me? Clear braces aren’t for everyone including more complex orthodontic cases such as treating an overbite. Metal braces are required for extensive treatments. It’s best to talk to your dentist to see if you would be applicable for clear braces. Clear braces are a great way to achieve straight teeth for a cheaper price than you might think. So if you’re looking for a way to straighten your teeth without the need for visible braces, why not look into getting a clear set?